Uninstalls – No, not automatically. Surprisingly, this game from 1997 installs and runs nearly flawlessly for me in Windows 10. 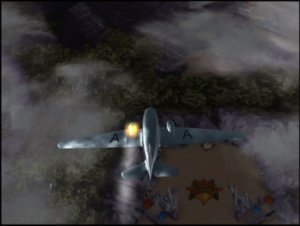 There is some flicker or transparent artifact that can be seen surrounding the border of the video cut scenes, but the cut scene itself is unaffected and so is game play. This game requires the CD-ROM to play, even when installing the full game to the hard disk. Its consistent polling of the CD-ROM drive can cause the game to lag slightly. You will want to reconfigure the controls prior to playing this game since the default controls will trigger a “Sticky Keys” dialog to appear in Windows 10. The Sierra provided uninstaller program does not seem to work correctly in Windows 10. It has probably been years since I last played a pinball game, let alone one on a computer. The last time was probably when I played Space Cadet Pinball as a pack-in game for Windows XP. Its 2D visuals were nice and crisp. Its sounds were sharp and futuristic. And it was fun. Computer pinball games in general have always been fun for me. The first computer pinball game I recall playing was Crystal Caliburn by Little Wing for Windows 3.x. Even though it came out in 1993, its sharp higher resolution bitmap artwork kept me enthralled with its medieval theme. I would play for hours as a grade school student when I should have been doing my homework. For those who don’t know what pinball is, I’ll have to write a later article to do the subject justice. It should suffice currently to just imagine that there is a ball, falling down at an incline, and that the player can push it back up using one of two paddles on either side of a hole in the middle. If the ball falls into the hole too many times, the game ends. The object is to keep the ball up in the air and score points by knocking the ball into objects within the inclined playing field. 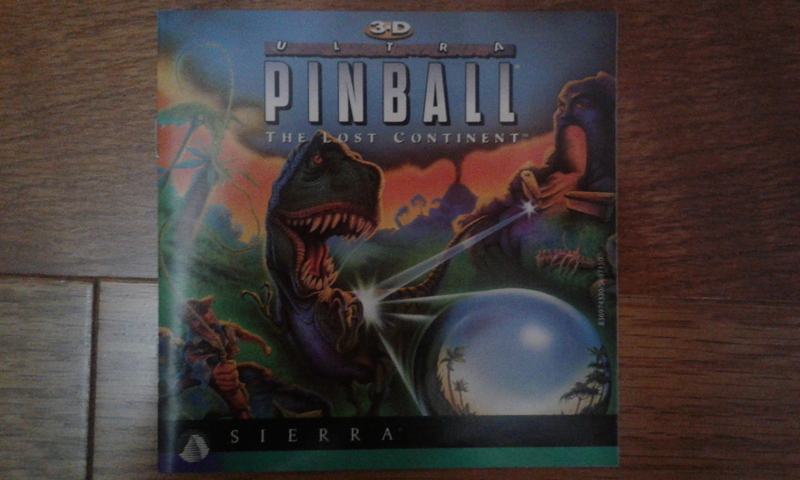 While working my way through my game collection, looking for games that will run natively in Windows 10, I found 3D Ultra Pinball: The Lost Continent. 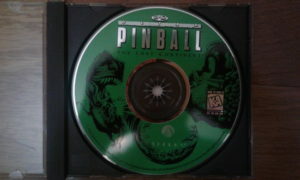 It is the second in a series of pinball games created by Dynamix and published by Sierra in 1997. While I was impressed with how well the game runs on Windows 10, what is most impressive about this game is how cheezy it is. 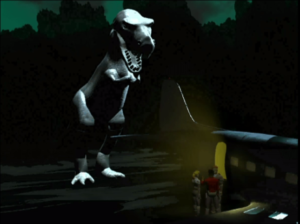 The game’s plot appears to be that a passenger plane is damaged in a lightning storm and crash-lands on a deserted island filled with dinosaurs and a mad scientist. In the beginning cut scene, as the plane is going down, you can see the pinball playing field on the island. It looks like the plane actually crash-landed into a pinball table. 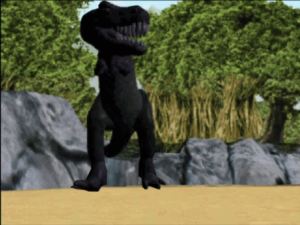 The intro cut scene looks like something designed by my high school buddies using Microsoft Movie Maker. It was 1997 and Movie Maker did not come out until 2000. You can decide if I should cut them more slack. It looks like they had fun making this game what it is, and honestly its most redeeming quality is that it does not seem to take itself too seriously. I can only imagine begging for my parents to buy me this game in the store when it was retailing upwards of 20 dollars and then getting it home and being incredibly disappointed. I got my copy for 3 dollars at Goodwill. That price was probably worth it just for the laughs I have gotten from watching the intro cut scene and listening to its terrible one-liners. I’m actually somewhat surprised that Sierra released this game at all. While Sierra released some duds over the years, they generally kept the bar for their releases relatively high. A potentially little known fact about Sierra is that they provided a one hundred percent money-back satisfaction guarantee on all of their games, one that they stood behind. If for any reason you didn’t like the game, you could send it back within 30 days for a full refund. I wonder what percentage of these they received back after people complained demanding their money back. The game play in my initial play-through was mediocre. Balls seemingly sometimes unfairly fall out of the play field immediately after being released. When this happens, the game would often toss me a free ball as if it knew it gave me a cheap shot. 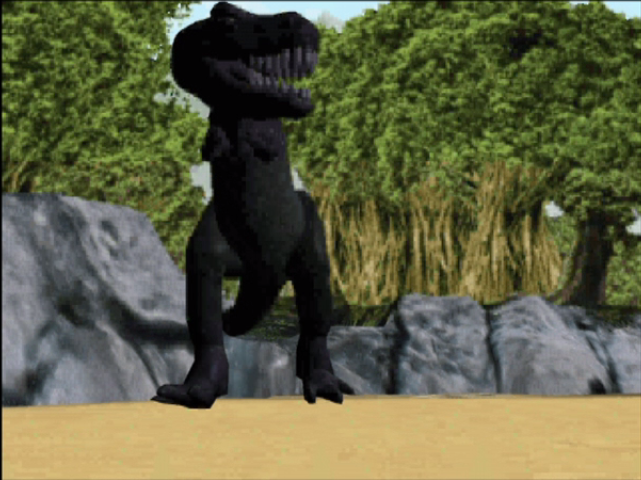 The free ball seems to come in at random though and blends in too much with all the dinosaurs moving across the screen. It’s hard to tell what the ball is doing when it’s doing it, or why I received certain points and bonuses. 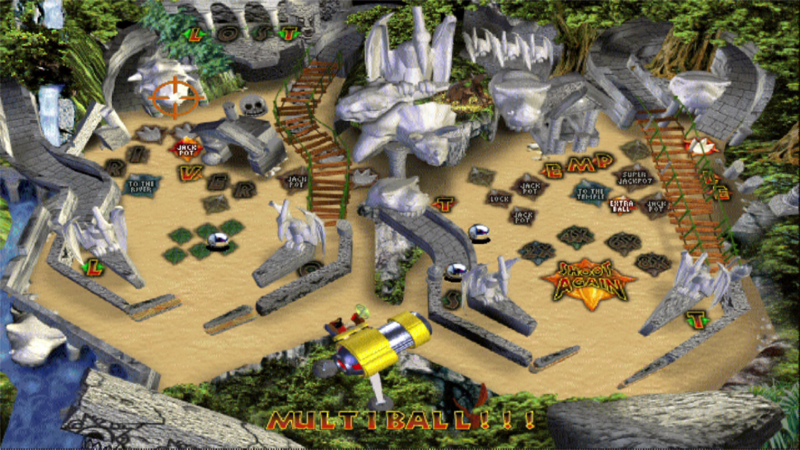 I read in another review that 3D Ultra Pinball: The Lost Continent has 16 pinball table levels. When I hit a game over, it allowed me to continue. Hypothetically, if the player were to have unlimited continues, there is nothing stopping them from playing all the way through the game provided they had the patience to do so. 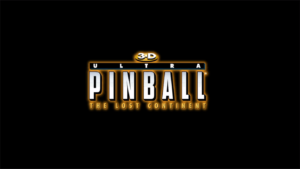 3D Ultra Pinball: The Lost Continent can also be played by up to four players, so play with people you hope to bore that you don’t want coming to see you very often. 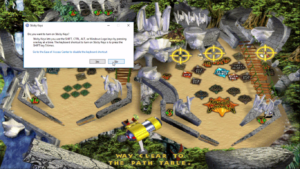 Apparently Windows 10 retained another pinball buzzkill I remembered from my Windows XP days. Whenever you press the shift key too many times in a row, a dialog box pops up asking if you would like to turn on Sticky Keys in Windows. Of course the shift key is a standard paddle key for most computer pinball games. 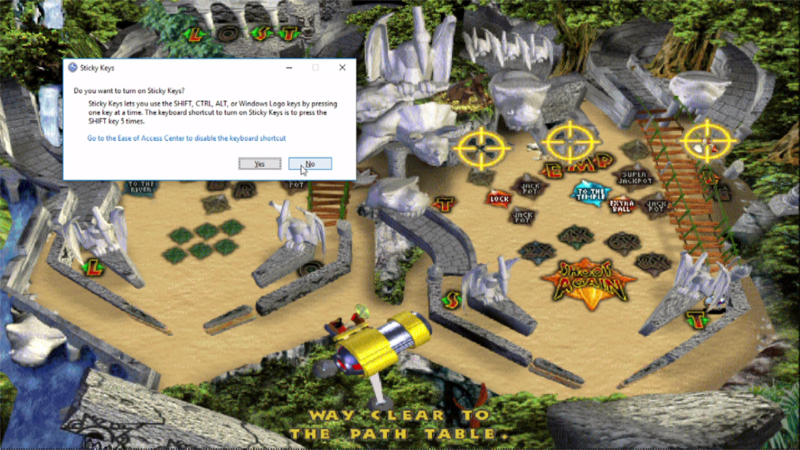 It sure would have been nice if Microsoft had provided a checkbox on their dialog that said something on the order of, “Don’t display this dialog again.” Control keys can be configured in 3D Ultra Pinball: The Lost Continent and game pads can also be enabled, but when all you have is a keyboard, using the shift key just feels natural. Another frustration I have with 3D Ultra Pinball: The Lost Continent is the way it continuously checks the CD-ROM drive for the disc during play. This is a game from 1997, and yet it is lagging on my computer from 2017 because it’s continuously polling the CD-ROM drive even after I chose the option to install the entire game to the hard disk. I figure this is some form of late nineties DRM. Someone at Sierra had a lot of pride in believing anyone would want to make pirated copies of this game. 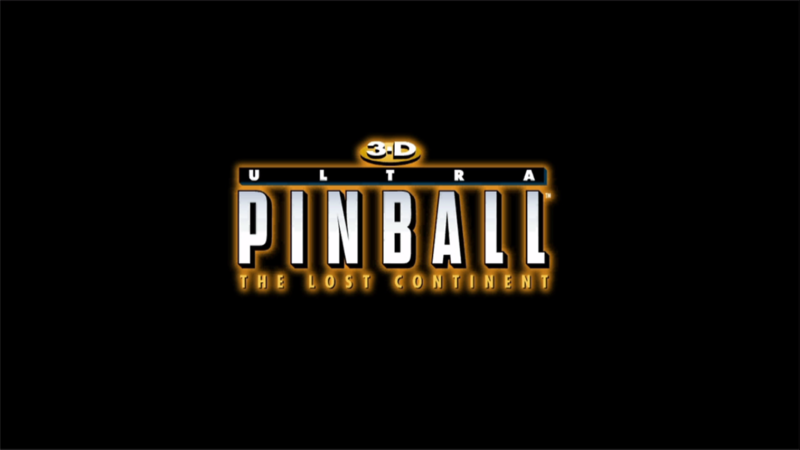 3D Ultra Pinball: The Lost Continent really does have a lot of charm. It’s worth installing and loading just to see the cut scenes if obtained at a reasonable price. As far as pinball games though, this just isn’t as fun as a lot of pinball titles that I recall playing prior to its release and pinball games that came after it hit the bargain bin and was largely forgotten.